Want to keep up with the latest updates and tips from Bürkert? Read our INSIGHT Newsletter below. 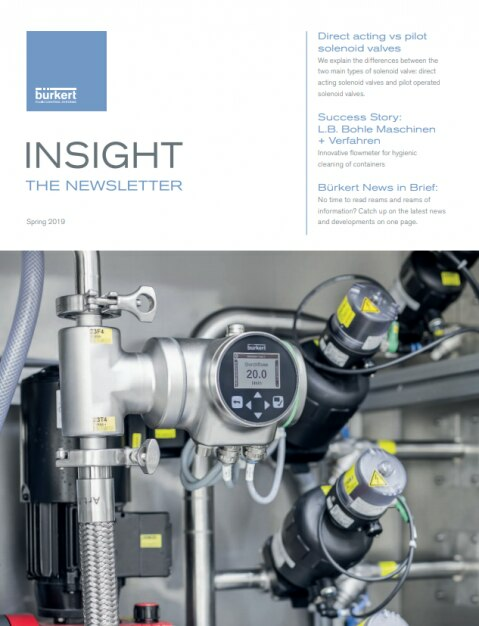 Our Summer 2018 newsletter is packed with brand new knowledge and news from Bürkert plus process and fluid control tips. Click here to read online, or email kirsty.anderson@burkert.com to request a hardcopy.